The e-book version is a reasonable $2.99 and comes complete with illustrations, original characters, and over 123 writing prompts. 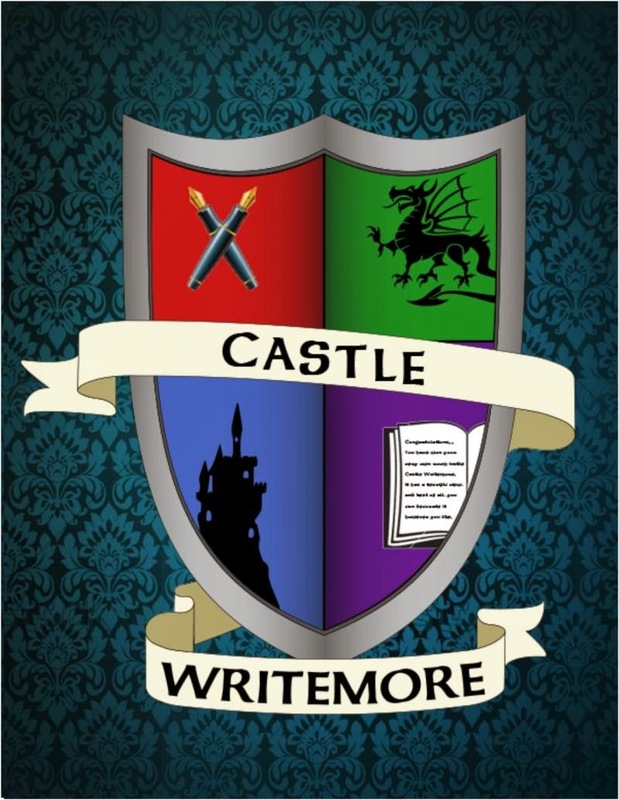 "Castle Writemore" is perfect for building a young writer's imagination. JUST RELEASED: The new workbook edition! 206 pages, lots of illustrations, plenty of room for young authors to write, doodle, color, draw, and brainstorm. Available at Amazon.com. 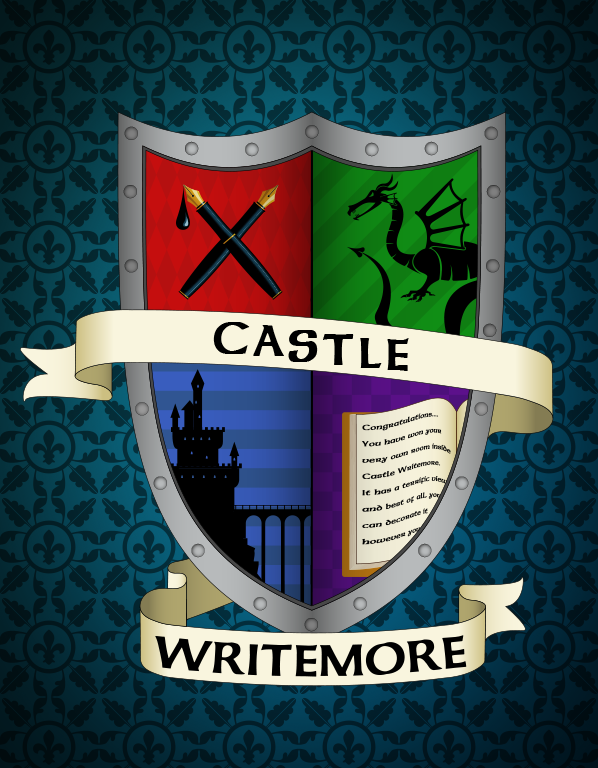 "Castle Writemore" is a collection of one hundred and twenty three writing prompts. 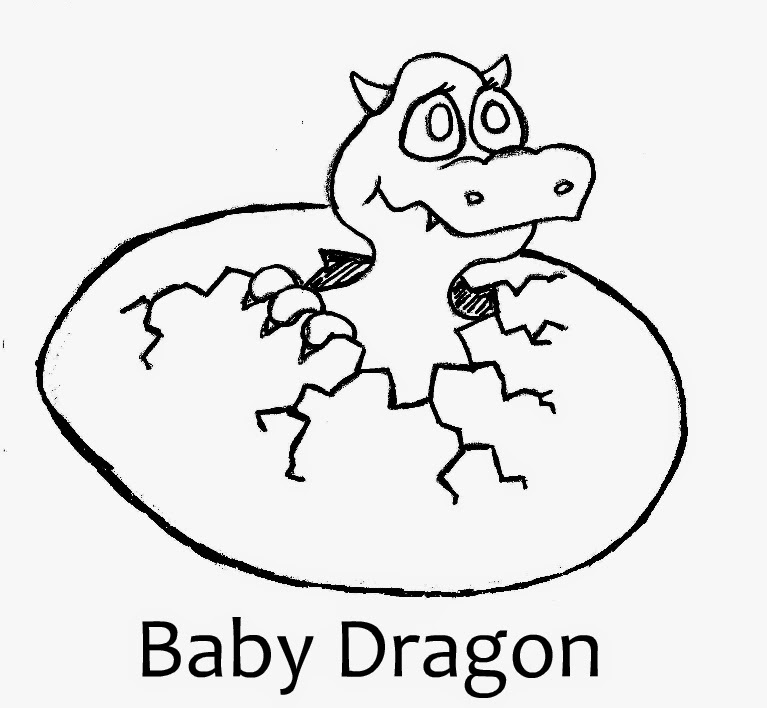 They have been designed to foster creative writing, descriptive writing, personal reflection, brainstorming techniques, annotative skills, and paragraph development. They are also designed to make writing fun because they take the young writer on an incredible adventure. If you are looking for a unique way to encourage a lifelong love of writing, then you should definitely take a tour of our fantastic kingdom. 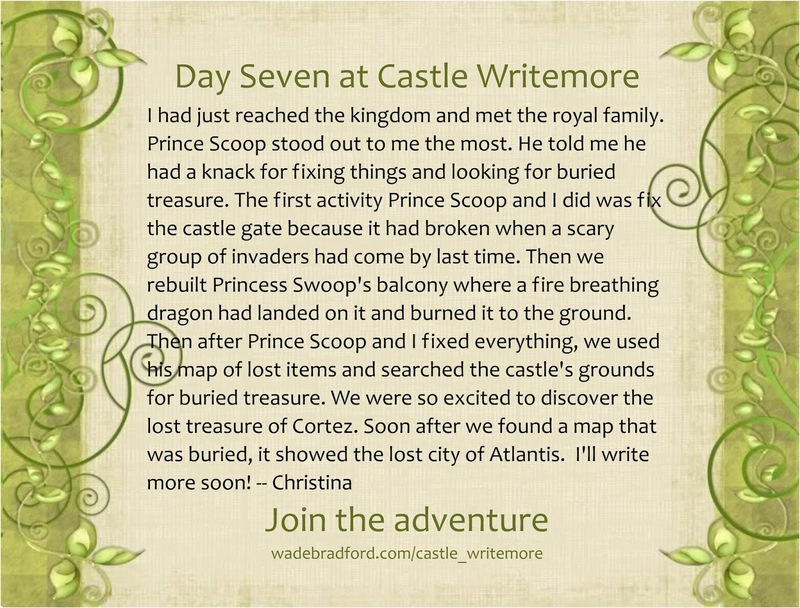 Written by Wade Bradford (author / playwright / college professor), "Castle Writemore" is ideal for young writers from ages six to ten; however, any age group can have a splendid time visiting this imaginary world. Order your copy at Lulu.com! Walk up the castle steps, enter your room, look out the castle window and get ready to spend one hundred and twenty three days in a magical world. Castle Writemore by Wade Bradford is not only a collection of 123 writing prompts. It is an adventure that inspires creativity and improves writing skills. It is also a place to share your imagination with fellow storytellers. Each prompt represents one day spent in a magical castle filled with quirky characters and humorous adventures. The more you write, the more your imagination soars! Whether you are a young student or a seasoned instructor, Castle Writemore offers a fun, new, stress-free way to foster a lifelong love of writing. This blog features a creative project one a week. Visitors are encouraged to leave comments and share their responses to the prompts. Want all 123 prompts right now? Order the complete e-book of Castle Writemore.